Talent Night is a chance for Viet Nam to introduce its youthfulness and dynamic characteristic throught such cultural performances. Viet Nam hopes to introduce to the international community a youthful and dynamic country with its performance in an APEC traditional informal art and cultural program named Talent Night, which will be held on September 16. In the sideline of the APEC SOM III, the Talent Night program is an opportunity for all participants of the APEC SOM III to share their culture, talent and creativeness with many interesting and jolly performances. So far, fifteen items have been registered in the Talent Night. 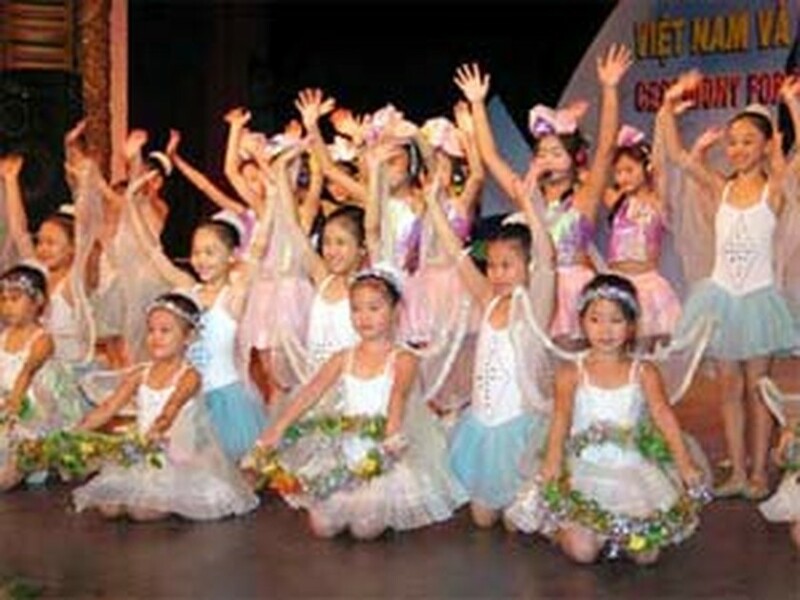 As the host team, Viet Nam will open the Talent Night with a two-session performance. In the first session, a seven-minute video clip with incidental music extracted from many famous films and songs like God Father, Imagine, Seasons in the Sun, Lemon Tree, Je Ne Veux pas Travaille, etc, will reveal to all participants the 2006 APEC Secretariat Committee’s hard but meaningful preparation work for SOM III. With the video clip, Viet Nam hopes to introduce to the international community a "youthful and dynamic country", according to Mr. Nguyen Hoang Nguyen, an expert of the Multilateral Economic Cooperation Department of the Ministry of Foreign Affairs, also a member of the 2006 APEC Secretariat Committee. The second session of the performance will include a song performed by all Vietnamese delegates at SOM III. Ms. Tran Thi Thu Hang, Deputy Director General Multilateral Trade Policy Department Ministry of Trade Viet Nam, also Head of the Viet Nam SOM delegation, is invited to participate in three performances to be conducted by the delegations of ASEAN, Canada and Viet Nam. Contributing to the Talent Night, the Peruan delegation said they will sing a song together with the Vietnamese volunteers for SOM III while the Head of Hong Kong Special Administrative Region (SAR) delegation is expected to have an interesting performance with piano. Around 1,500 representatives from 21 member economies of the Asia-Pacific Economic Cooperation (APEC) forum attended the third APEC Senior Officials' Meeting (SOM III) and related conferences in Da Nang city, and Quang Nam province's Hoi An ancient town from September 6-17. In twelve days of working, participants at SOM III will finalize the agenda agreed at SOM I and SOM II so as to prepare for the APEC Economic Leaders' Meeting which will take place in Ha Noi this November.